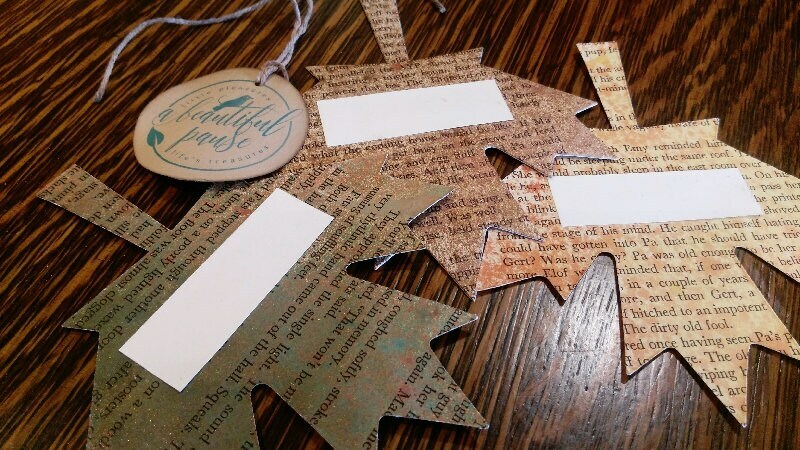 Vintage book pages turned into fall or Thanksgiving decorations. They are double-sided. 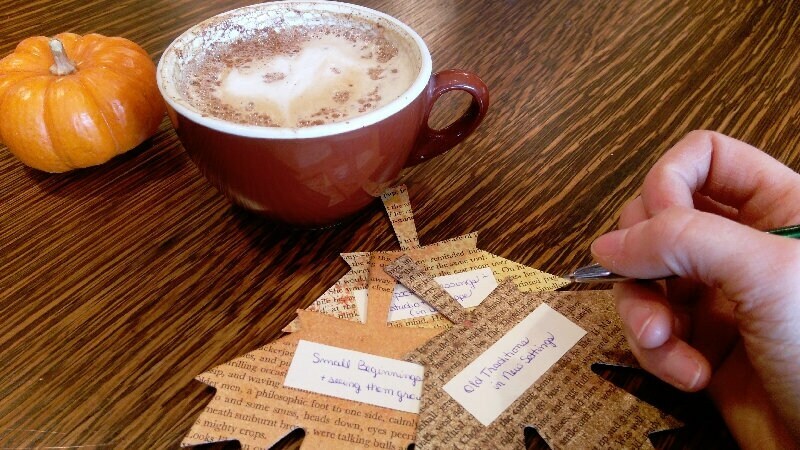 Use them purely as decoration or create a family tradition/memories. As a family, we have been using ThankfulLeaves for several years at our Thanksgiving dinner. We scatter the leaves around the dinner table, so everyone can take some and write on them what they are thankful for. After dinner, we gather in the living room to share what we wrote on our leaves and to hang them on the twine strung above the fireplace (twin and clips are an available option with your purchase) or on one of our story boards (not included in this sale, but you may inquire about what we have available in the shoppe. 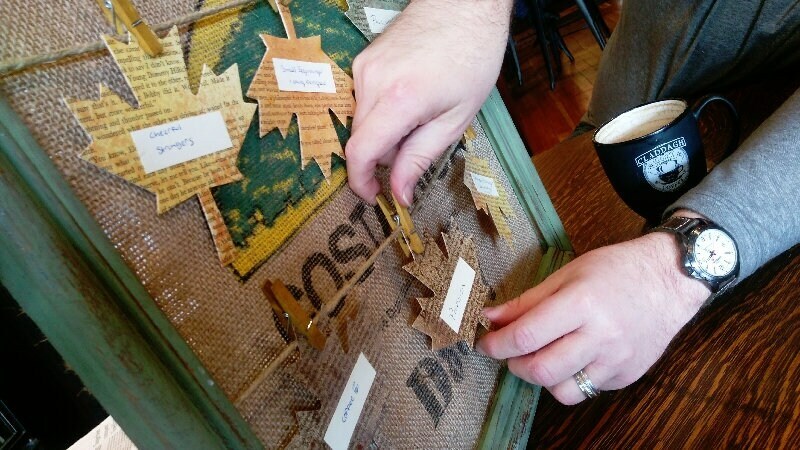 We can also do custom story boards. Great, great family memories have been made around the yearly tradition of the ThankfulLeaves! Save and date them, to string up for future Thanksgiving gatherings. 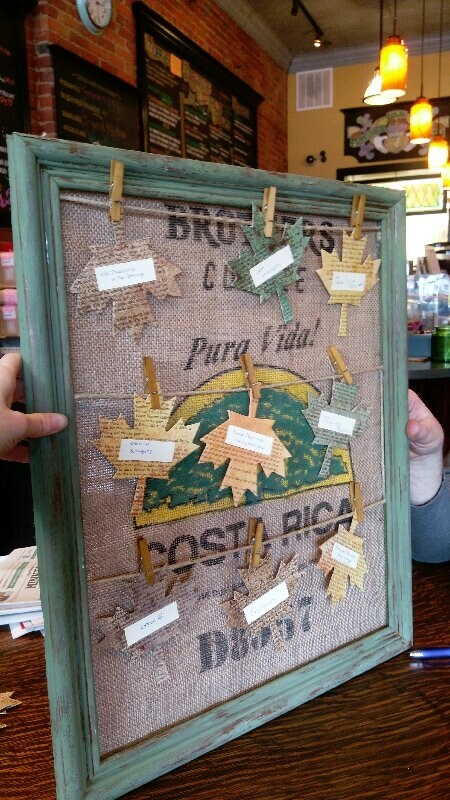 You can purchase just the leaves or you can purchase with clips and twine. We've listed sets of 6 or 12 leaves. If you have a special need, inquire for pricing.